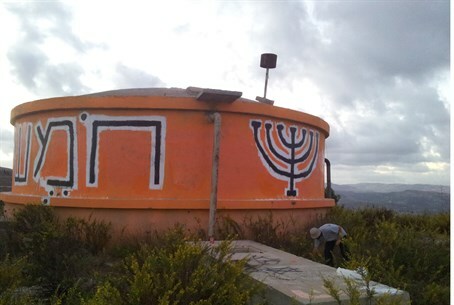 Could Jews return to Homesh and Sa-Nur? Bill backed by several MKs to right the 'terrible decree' of the Disengagement. Thousands of Jewish Israelis were expelled from their homes during the 2005 Disengagement - but soon, some of them may have a chance to return. MKs Ze'ev Elkin (Likud) and Orit Struk (Jewish Home) have drafted a bill to restore Homesh and Sa-Nur to its former Jewish residents, Walla! News reports Wednesday night, as well as to "eliminate the rights" of those who have invaded the communities since then. The foundation of the bill is based on the fact that both Homesh and Sa-Nur are in Area C - the area of Judea-Samaria under full control of the State of Israel. "Ten years have passed since the government's decision, and nine years since its implementation," the explanatory section of the bill reads. "The goals of the disengagement have been made a mockery of and ridiculed, the foundation upon which it was based has failed repeatedly, and it has wreaked immense damage to Israel's security, Israel's economy, and Israel's foreign relations." Homesh and Sa-Nur refugees met with Knesset Speaker Yuli Edelstein (Likud) recently to promote the bill and ask for assistance in recruiting support for it in the Knesset. Several prominent residents of the communities were in attendance, including Limor Har-Melech - whose husband Shuli was killed on his way to Homesh; Rabbi Elishama Cohen, the former Rosh Yeshiva of Homesh, who still lives there; one of the community's founding members, Benny Gal; and Yossi Dagan, who stood in as the Acting Head of the Samaria Regional Council for the meeting. "We came to you today, because just today we mark a decade as it was since the terrible deed of the deportation known as the Disengagement," Dagan began. "Following this terrible decree, ten thousand Jews were expelled from their homes." "Today it is clear to any sane person, from the Right or from the Left, that it was a mistake - a fatal mistake," he continued. "But unlike Gush Katif, which unfortunately is under Palestinian control, [these people remain expelled from] an area of northern Samaria under Area C - which is under the full control of the State of Israel." "There is no logic and no justification for it, if it is clear that this was a mistake," he urged. "There is no reason not to fix this criminal law, we have come to ask you to help us: help us pass a law to repeal the Disengagement." Edelstein, who in the months preceding the Disengagement lived in the Gush Katif community of Gadid before it was destroyed, stated that he agreed with the proposal "fundamentally," adding that he and other MKs have fought for similar measures before "and failed." "Today there are no soldiers, no towns [in Gush Katif] - and the situation according to all opinions - even according to international opinion - is getting worse," Edelstein said. "No doubt many people believe [the Disengagement] was a mistake. And I would very much like to go back to Gadid." "We can certainly talk about this bill seriously and sanely, and not as a dream, but as something more practical," he added. "And I'm sure that among the ministers there will be those who think more or less like I do. I do not think the government will not be able to find people who think as I do: that it was a terrible mistake and that if families return to Homesh or Sa-Nur that's not what will be a blow to Middle East peace. " Edelstein promised to help rally political support for the bill for the residents' sake - and indeed, several MKs have already signed it. Signatories include Elkin, Struk, MK Haim Katz (Likud), Shuli Muallem (Jewish Home), Moti Yogev (Jewish Home), Zevulun Kalfa (Jewish Home), Nissim Ze'ev (Shas), Yisrael Eichler (United Torah Judaism), Meir Porush (United Torah Judaism), and David Rotem (Yisrael Beytenu).